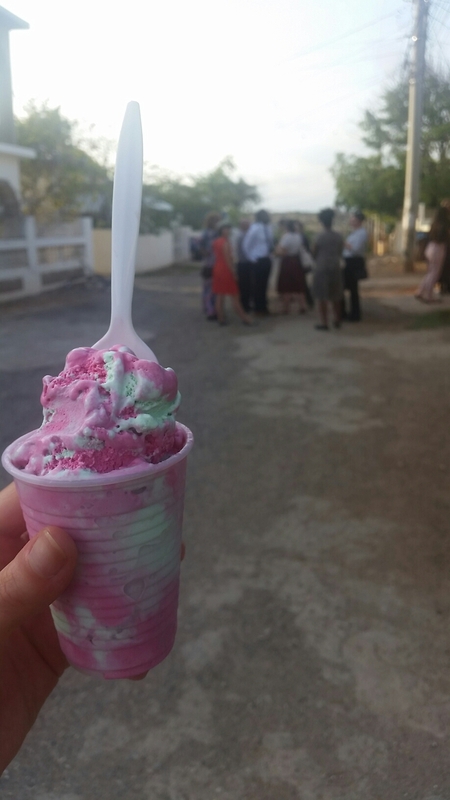 Today I had my first life changing bite of cherry pistachio ice cream and my world is better because of it. This ice cream is just too pretty and tasty not to share a picture of. We also continued with our pre service training and got to meet our first host families in the early evening. I’m looking forward to getting to know my host mom and family better over the next few weeks and to learn more about Jamaican culture from them!